Motel 6's ongoing campaign aims to communicate the new feel of the brand to consumers, following revamp. Motel 6 has launched a consumer-focused campaign to accompany major renovations taking place at the hotel chain’s locations across the country. The campaign, called Room to Room, was initiated to help illustrate the enhancements coming to Motel 6 facilities and communicate the new feel of the brand to consumers. 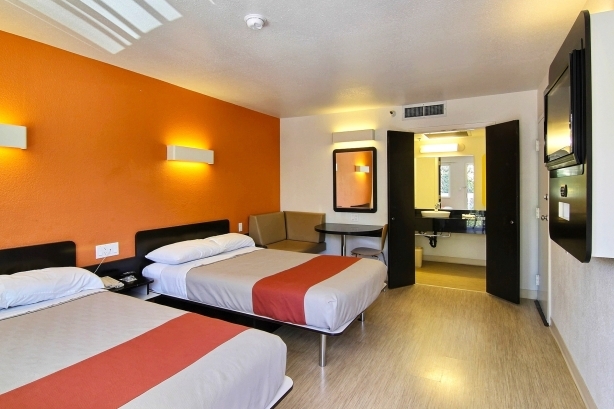 G6 Hospitality, the management company for brands Motel 6 and Studio 6, began planning for a brand-wide renovation in early 2012. However, the Room to Room campaign did not launch until November 2015. A rep from G6 was not immediately available to comment on why the brand waited three years to communicate about the revamp. Motel 6’s renovation focuses on introducing functional, contemporary, space-efficient areas to its locations across North America. The marketing strategy is aimed at highlighting Motel 6’s nationwide revamp through a seamless room to room journey. The campaign team put together a broadcast campaign element, working with digital partners to support the overall campaign. The goal was for Motel 6 to go to market with full marketing assets, both analog and digital. Motel 6 also set out to focus its social media strategy on increasing engagement with guests. "We want people to experience travel the way they were meant to," explained Lance Miceli, G6 Hospitality’s EVP and CMO. "The magic of travel is gaining experience, meeting new people, and learning new things. All of those things are met by Motel 6." Coyne PR conducted outreach to travel trade publications, as well as consumer and industry media outlets. Reporters across multiple beats were also targeted, including travel, hospitality, features, local news, and business, to spread word about the campaign. In addition, Coyne invited a select group of media members to join G6 Hospitality and Blackstone executives for an intimate luncheon event in New York City. Coyne also facilitated a number of interviews about the campaign with noteworthy outlets including Conde Nast Traveler, The Wall Street Journal, and Bloomberg Businessweek. Motel 6 and advertising firm The Richards Group collaborated with King and Country, a full-service, design-centric production company, to develop a 30-second TV commercial. The ad was captured at a Motel 6 in Carson, California, and at Universal Studios in Hollywood, California, and showcases 360-degree shots of the revamped facilities. Tom Bodett, Motel 6’s spokesperson since 1986, is also featured in the spot. A social media strategy was also designed for Motel 6 to maximize each point of contact to better serve customers and increase brand awareness. Via Motel 6’s accounts on Facebook, Twitter, and Instagram, the brand has been actively promoting contests, sweepstakes, and providing interesting facts that could help people with their trip. Motel 6 also partnered with travel and entertainment content publisher Wcities to provide geographically based content for a new branded mobile app. The Wcities platform allows travelers to view nearby restaurants, attractions, national landmarks, museums, events, and other localized content to explore. Motel 6’s Room to Room campaign has received coverage in industry-centric outlets such as, Conde Nast Traveler, Travel Pulse, Media Post, Skift, and Hotel Business. The chain’s renovations have also secured coverage from a variety of national media outlets including Bloomberg Businessweek, The Wall Street Journal, and USA Today. The new Motel 6 TV spot first aired in November on national cable networks, such as ESPN, Fox Sports, CMT, CNN, Spike, and MLB Network. The ad runs until the end of 2016. Thus far, the campaign promotion has resulted in over 55 million media impressions. To date, more than 70% of Motel 6 locations in Canada and the contiguous U.S. have been renovated or are in the process of being updated. Motel 6 has plans to roll out a series of consumer engagement tactics and activities in 2016, which will invite people to stay at properties and experience the new look and feel of Motel 6. Last month, the brand started running a special contest called, "Upgrade your view," where individuals can enter to win tickets to an upcoming professional sports game. The contest is run via Motel 6’s Facebook page. Additionally, the PR team is adding a monthly calendar to the brand Facebook page to showcase various virtual activities and opportunities to win prizes. Motel 6 is also working on reengineering its app for mobile devices. "We believed years ago that you have to take a mobile first approach," said Miceli. "Mobile was an evolving platform. When you design for the small screen first, it's a much easier assignment than trying to retro-fit a webpage to a mobile platform." G6 Hospitality is taking its economy lodging business international, with locations being developed in Mexico and further south into Latin America under the brand Estudio 6.